BSA Health System is proud to announce eight BSA nurses have been recognized in the third annual Panhandle Great 25 Nurses list by the Texas Nurse Association for excellence in nursing. Nurses were chosen by their peers in the community. 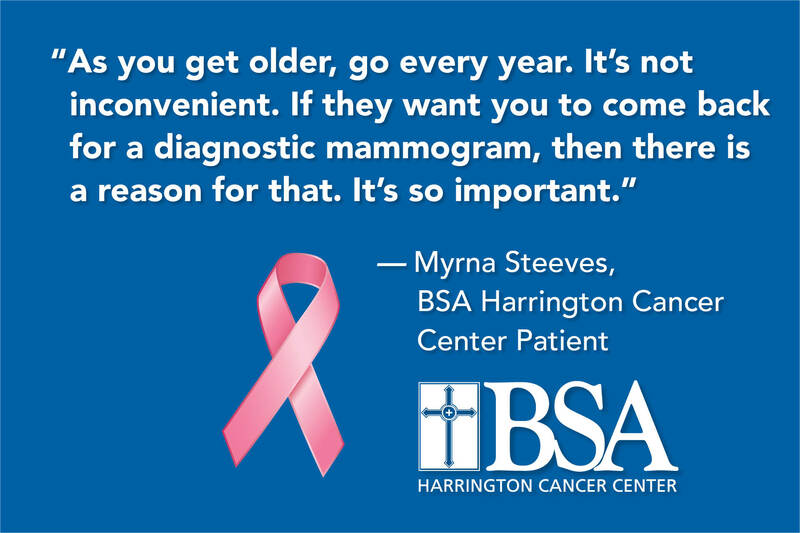 Myrna Steeves has always been an advocate for women to get their yearly mammogram. “I’ve religiously gone for mammograms since I was about forty and I’ve had several biopsies in the past,” explained Steeves. At age 71, Steeves didn’t think twice when she was asked to return for a diagnostic mammogram at BSA Harrington Cancer Center after a routine mammogram six months earlier. Six months after a routine mammogram, Louisa Ramos, 65, returned to BSA Harrington Cancer Center. “The doctors saw some spots in my right breast but were not sure if it was cancer, so they told me to come back in six months,” said Louisa. At her six-month appointment in March 2017, Louisa was diagnosed with Stage 1 breast cancer and needed surgery and radiation. “It was a scary feeling when I found out that I had cancer because I didn’t know what to expect,” said Louisa. This would be Louisa’s first time to have surgery, other than the birth of her two children. A wound or sore that won’t heal can affect a person’s everyday life and if left untreated, can become life-threatening because of the risk of serious infection. For 37 years Jolynne Mitchell has had a wound on her leg. One year ago, Jolynne became a patient at BSA Advanced Wound Care after her wound reopened for the fourth time. BSA Advanced Wound Care offers a wide variety of services to patients including treatment for bites, burns, cancer, diabetes, immune disorders, non-healing surgical sites, pressure ulcers, trauma and vascular disorders. When Taylor Fisher, 23, experienced life-threatening health issues, bariatric surgery was her only option. “I was about to go blind due to intracranial hypertension and I needed immediate weight loss,” said Fisher. Intracranial hypertension, also known as benign intracranial hypertension and pseudotumor cerebri, occurs when the cerebrospinal fluid pressure within the skull is too high. This condition can result in vision loss, severe headaches and other conditions. The BSA Care Fair will take place on Saturday, September 29 from 7-10 a.m. in the BSA Auditorium. The fair will include a free blood pressure measurement and blood draw to test triglycerides, cholesterol and glucose. For accurate results, all participants are encouraged to fast for at least eight hours prior to having their blood drawn. 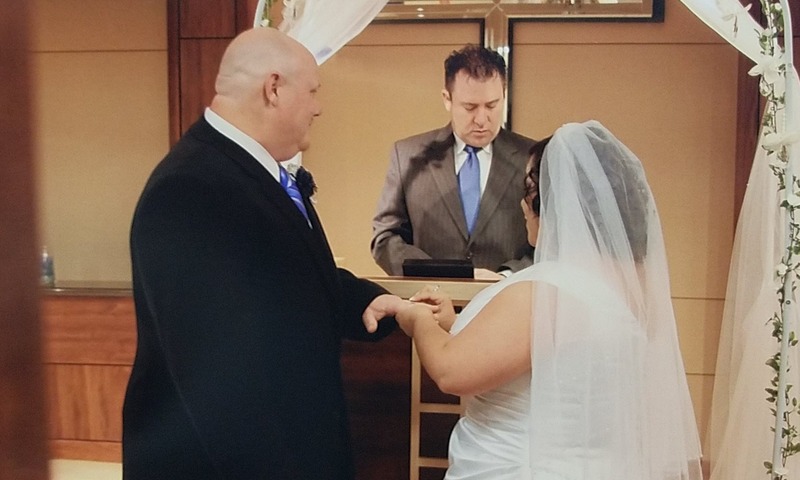 Twelve years ago, Kerry and Rebecca Lucero met in the BSA Emergency Department. Four years later, the two were married at the BSA Chapel by BSA Spiritual Care Chaplain, Chris Caldwell. After spending eight weeks in the BSA Labor and Delivery Department, Tracy May was more than ready to give birth to her twin girls. The mother of two (now four) had spent eight weeks in the BSA Labor and Delivery Department, due to her monoamniotic pregnancy. Monoamniotic twins are identical twins that share an amniotic sac and placenta but have separate umbilical cords. Monoamniotic twins are rare and occur in approximately 1 in 35,000 to 1 in 60,000 pregnancies. There are many risks associated with this type of pregnancy, requiring constant fetal monitoring. 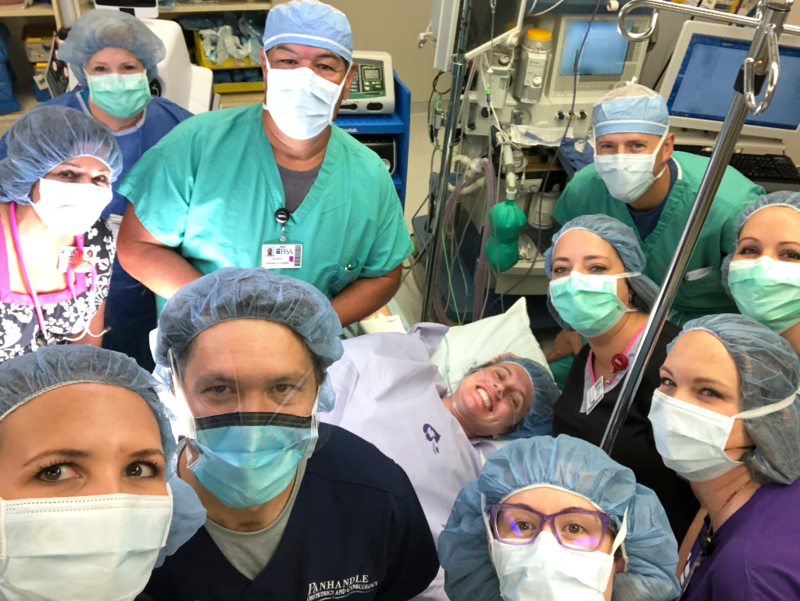 BSA Hospital has partnered with Cook Children’s Medical Center in Fort Worth to offer telemedicine in the Neonatal Intensive Care Unit (NICU) and Pediatrics Department. The BSA NICU and Pediatrics are the first in the region and third in the nation to use telemedicine through Cook Children’s. 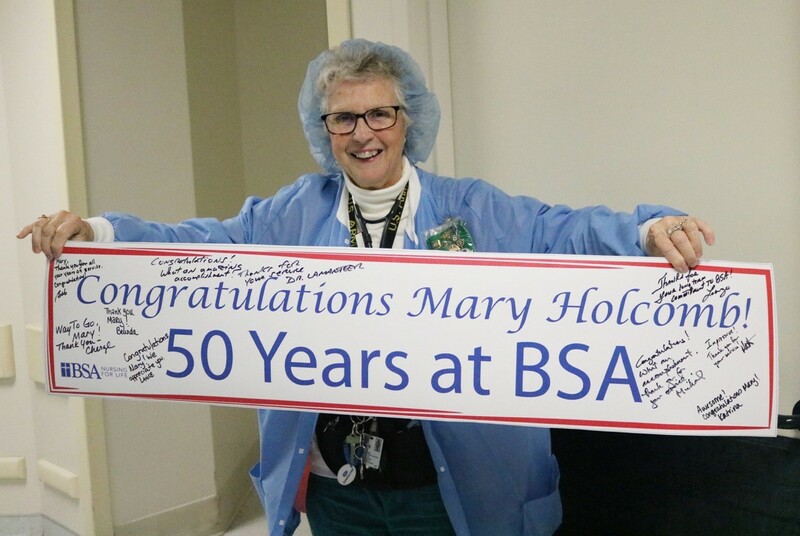 BSA recognizes Mary Holcomb, RN, MSN, CPAN, who has dedicated 50 years of service in the Post Anesthesia Care Unit at BSA. Mary’s career began in 1967 as a part-time nurse in the recovery room at St. Anthony’s. Mary began her full-time career in 1969.